Planning a trip to Riviera Maya is the desire and dream of many travelers when thinking of places to go on vacation. This destination is one of the most popular because of its wonderful coastline, reefs and the combination of its vast jungle with the culture of the Mayan Civilization. The Riviera Maya has two holiday seasons a year: the high season and the low season. In the first there is more flow of visitors from various parts of the world and it occurs on Easter holidays, summer and winter. The low season is from January to March, from May to June and from August to the beginning of December, unlike the high season during these dates in which there is not so much entry of visitors, as many return to their work routines . 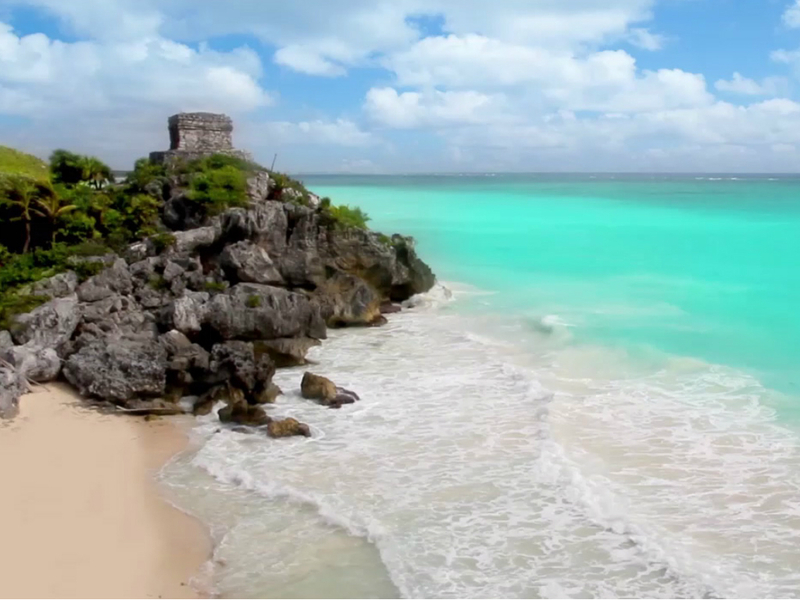 We believe that any day of the year is the best time to travel to Riviera Maya. The most important thing is the desire and determination to come to know paradise! Economic spending is very important when we are planning a trip, and according to our budget is the destination we choose. This should not be the case, if we have a dream or the illusion of going to a place we should set ourselves the goal of saving in order to raise capital and achieve it. Many companies make offers and discounts on their products. Travel agencies, hotels, flights and excursions are not far behind. 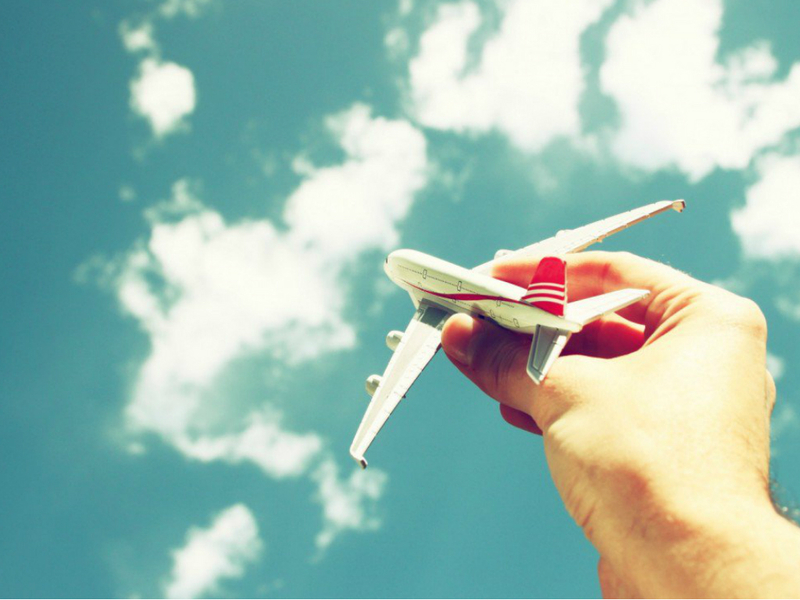 The prices of the airlines rise or fall every time, most of the time the low prices fall during the early morning hours. In the case of hotels and excursions the price varies during the seasons. In high season is when hotel prices have an increase, this is because it is when there is more occupancy in the arrival of tourists and is when the hotels are filling. During low season prices tend to decrease with the aim of motivating tourists to travel to Riviera Maya. Many think that traveling to the beach in the off-season is not finding anything, but on the contrary during this time is when everything is calmer and more enjoyable. In Mayan Riviera Tour we like to pamper our visitors so we have promotions and offers 365 days a year! 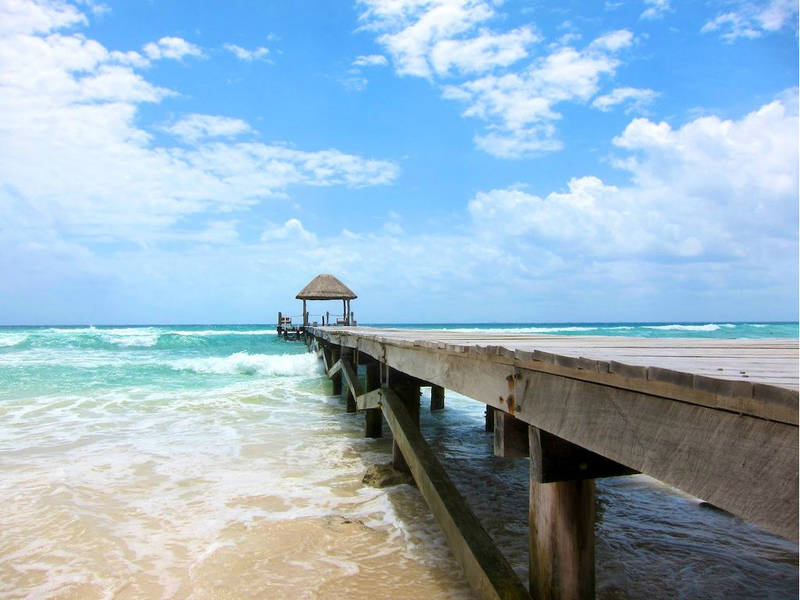 The Riviera Maya is a destination with a tropical climate, its days are sunny and clear. Temperatures are low but due to its richness in the jungle and the sea, hot and mild days become ideal to cool off in a cenote, river or in the sea with its fresh and crystalline waters. On many occasions many tourists are shocked to see news on the hurricane season in Riviera Maya. The hurricane season starts in June and ends in November, but there is nothing to fear, the probability that a phenomenon of this magnitude will arrive is very remote. Only three hurricanes have reached the Mayan Riviera, the first “Janet” in 1955, the second “Gilberto” in 1988 and the last “Wilma” in 2015. Thanks to technology nowadays it is possible to know the trajectory of these phenomena, and the authorities of the state are prepared with preventive measures in case a meteorological phenomenon of this magnitude arrives. If you make a trip outside your country of origin and you suffer an accident (we do not want it) in the place where you are from abroad and do not have a type of medical insurance with international coverage, the expenses generated by the medical attention will have to cover them . This could be a problem since each country has a different currency so the cost could be high and could hurt your economy at that time. Hiring medical expenses insurance is a way to prevent a high risk situation in a place outside of your country. So when planning your vacation it is important that you consider this point. Read about the Mayan Riviera, knowing will make you form a panorama of our destination and help you to know a bit of our history and places to enjoy. The more photos you see of our paradise, the more you will fall in love! 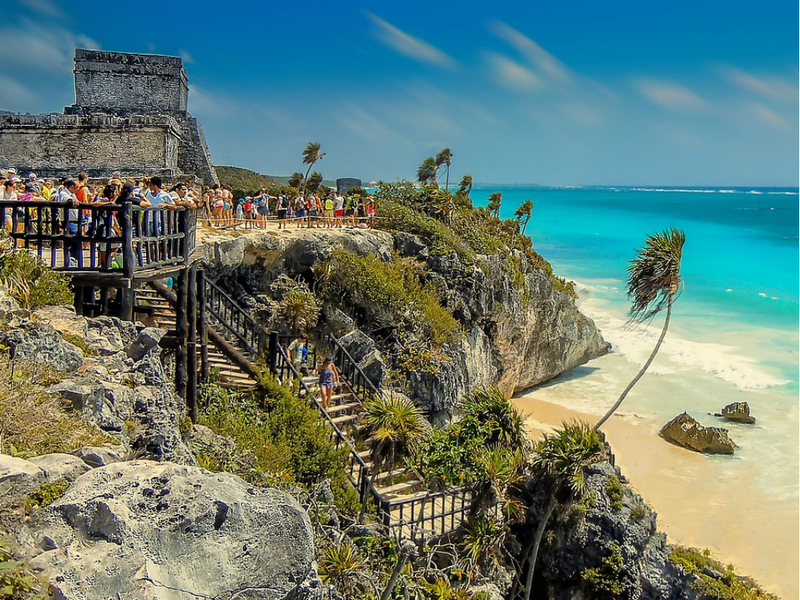 As you read about the Riviera Maya, you will get an idea of ​​the places you want to visit, make a list of those places and decide which ones you will visit. In Mayan Riviera Tour we take you to know the best places of the Mayan Riviera and Yucatan such as Chichén Itzá, Tulum, Cobá, Cenote Ikkil, Tour snorkel with turtles and many more. There are some countries that to enter it is necessary to take a visa, in Mexico a visa is not required if you are Spanish, so in order to make your trip to the Riviera Maya you only need to have your passport and your FMM “Visitor Card” which it must have all foreign citizens who need to enter Mexico. The visitor’s card is delivered to you on the plane, which you must fill out with your personal data and upon arrival in Mexico it must be sealed by migration. You should keep this paper during your vacation in the Riviera Maya, as it will be requested when you return to your country of origin at the airport. 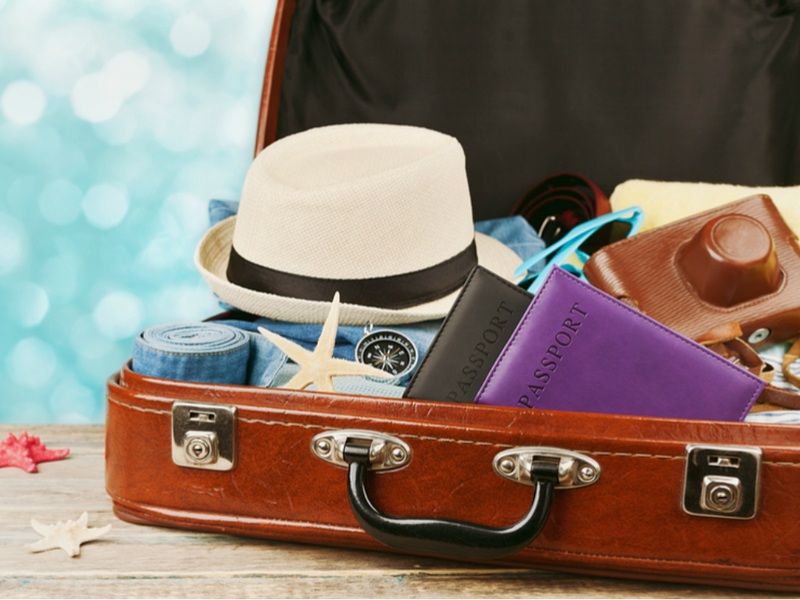 Once you have your passport and airline ticket it’s time to prepare suitcases! If you are wondering what to take to the Riviera Maya, we recommend you bring fresh and comfortable clothes, because the weather in the Caribbean is semitropical. The mornings and afternoons are hot and the nights cool. Almost everything is ready for your trip to Riviera Maya, the only thing you need is rest, save energy and start imagining what will be the best vacation of your life. The Riviera Maya is a unique paradise; Enjoy, live, be amazed and above all fall in love!